Connected cars are expected to account for over 80% of on-road vehicles by 2040. Automakers, original equipment manufacturers (OEMs), semiconductor companies, and electronics as well as telecom equipment manufacturers are competing neck-to-neck to acquire patents that leverage the Internet of things (IOT), cloud computing, remote resource utilisation and data streams necessary for connected and autonomous cars. 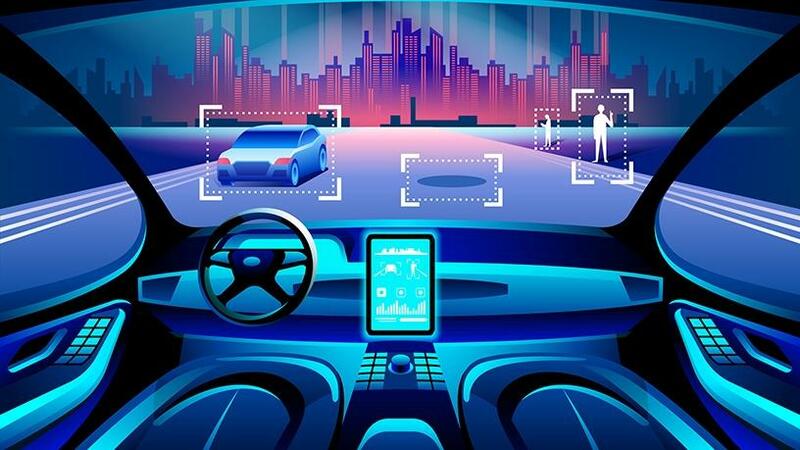 This is according to a new white paper by market intelligence firm Netscribes, which utilises its in-house technology research skills to provide an overview of the innovation in the automotive IOT space and the key companies driving the shift towards connected and autonomous cars. To understand the patent landscape, it conducted a basic patent search in the domain of connected cars and other related innovations on the Derwent Innovation database. This study considers the patents filed in the US in the last 10 years that fall within the connected / autonomous / self-driving / driverless cars and related domains. Netscribes says with connected cars expected to account for over 80% of on-road vehicles by 2040, investing in critical technological capabilities such as cloud computing, cyber security, machine learning, big data analytics and mobile communications will be a vital requisite for competing in the new game. Since 2013 when self-driving cars first began appearing in large numbers on public roadways, a primary goal of manufacturers has been to create an autonomous car system that is clearly and demonstrably safer than an average human-controlled car. Whether that will be possible in the real world without sacrificing even more human lives is a controversial topic, especially in light of accidents and fatalities resulting from system glitches. Consultancy firm Deloitte says as cars become increasingly software-driven, the real IOT developments in the auto industry are behind the scenes, as automakers and software providers both lay claim to the driver's seat. It points out that the automotive industry is on the brink of a revolution, and the driving force is the suite of technologies known as IOT. According to Stratistics MRC, the global automotive IOT market accounted for $20.49 billion in 2016 and is expected to reach $100.93 billion by 2023, growing at a CAGR of 25.5% during the forecast period. Factors such as increasing demand for assisted and automated driving, rising telematics mandates by several governments and consumer demand for smartphone features in cars are fuelling the market growth. However, it notes that lack of cellular connectivity coverage and the additional cost burden on consumers are hindering the market. With over 200 patents in areas such as smart vehicles, wireless communication and e-vehicle technologies, Ford takes the lead in connected car patents, says Netscribes. It points out that of the total patents considered as relevant, about 43% were assigned to the top nine assignees (Ford, General Motors, Samsung, Qualcomm, LG, Toyota Motor, Intel, IBM and Honda Motor). Among the rest of the 57% were patents owned by companies like Bosch, Google, Hyundai, Delphi/Aptiv and Microsoft, the market intelligence firm says. Netscribes notes patents by non-automakers are focused on crucial automotive IOT technologies that provide driver assistance, navigation, sensors and wireless communication, among others. Some of the most active tech companies include Samsung, LG, IBM, Google, Microsoft, Verizon Communications, Honeywell and Ericsson, to name a few. It points out that while non-automakers are the most active patentees, a majority of the patents are held by some of the top automakers and OEMs, including Ford and General Motors. Sourav Mukherjee, founder and CEO of Netscribes, explains that the autonomous cars that are on the road today are mostly at level one and level two that require some form of human assistance. "Fully-autonomous cars that include level four and level five are slowly being tested on the roads. Level four and level five cars are the ones that require zero-human assistance or intervention. The main autonomous technology included in these cars is advanced automotive camera and GPS systems to record and identify the geo-position of the vehicle. "These vehicles also have other advanced features like radar, LIDAR, and ultrasonic sensors that can detect any object that comes in its path or nearby surroundings. However, cars that are presently on the road today are those that take control of steering and brake but with constant intervention of the driver." Mukherjee says North America is leading in the adoption of autonomous cars. The main reason for this, he says, is the presence of various technological hubs that are present all over the West Coast region of the US. He points out that Uber and Tesla are the leading autonomous car companies that are planning to launch fully-autonomous vehicles in the US very soon. Additionally in 2018, he says, new regulations in states such as Arizona and California have now allowed companies to test fully-autonomous vehicles without the presence of any human behind the wheel. All these factors prove that North America leads the race in the adoption of autonomous vehicles, Mukherjee says. He points out that Africa is slowly moving ahead in familiarising with the concept of autonomous vehicles, noting that SA will witness its first public trial of autonomous car in the month of October 2018. "The adoption of autonomous cars in this region is at a slow rate due to poor infrastructure, Internet connectivity issues and lack of adequate knowledge. Even though some cars in this region come equipped with level one and level two autonomous features, they are not as widespread or popular. However, without proper investment in technology and infrastructure, level five autonomous cars will not be able to mark their presence in the South African market." Mukherjee is of the view that the biggest challenges faced by autonomous cars are poor road infrastructure and traffic systems that require modifications to start vehicle-to-vehicle communications. "The road conditions differ from region to region, making it difficult for the self-driving cars to adapt with the infrastructure. Other major factors posing a huge challenge are the government laws and regulations. Many government bodies are reluctant to issue or pass any regulation that may allow autonomous cars to become more functional on the road." However, he notes that autonomous cars will gain its momentum in the future due to higher demand of fuel efficient cars, and increase in ride sharing. "This will lead to lesser number of cars on road that will reduce traffic congestion and increase availability of parking space. People will prefer ride sharing because it would prove to be more convenient as well as cost-effective for them," he concludes.